Creative Sites is passionate about bringing play to your community and helping you design your perfect play environment! They are knowledgeable and experienced about the entire playground process from site evaluation to design to maintenance and will work with you beyond installation to make sure your playground is, and remains, all you dreamed! 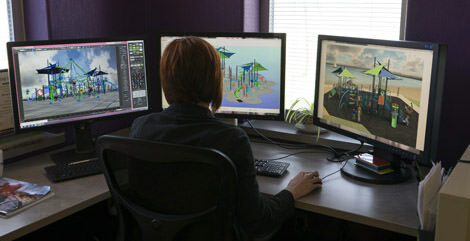 At Creative Sites, we love to plan playgrounds because playgrounds are what move us every day! There are challenges in playground planning and we are here to help! We can assist you with the process – from conception to installation to continued service, we are here to support you and help ensure you get your dream playground, on-time and on-budget. Burke's products have been designed and tested to ensure all products meet/exceed the world's most rigorous safety standards. In addition to being IPEMA certified to the American ASTM and Canadian CSA standards, Burke's product lines, Nucleus® and Intensity® have also been certified to meet the European standard by TÜV America Product Service. We know how important the playground installation process is to the success of your play environment! That's why we partner with local installers with years of experience installing playgrounds in Nebraska. The installation is managed by us so your process is smooth and you can enjoy a properly installed playground on time and on budget! Maintaining your playground is a must for playground safety. 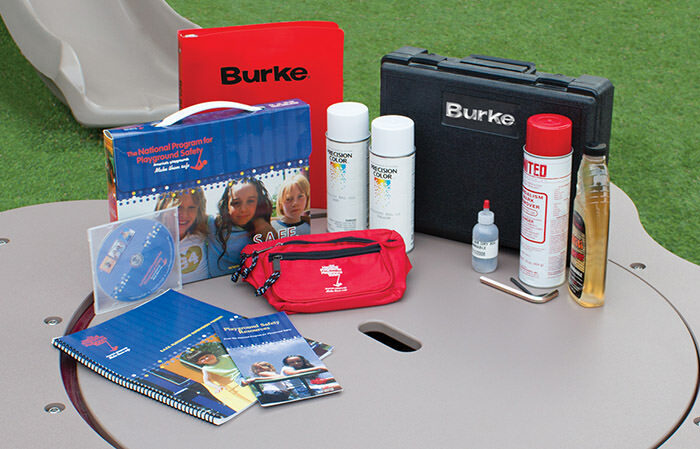 Your new Burke modular play structure comes complete with a FREE Maintenance Kit. Not all play structures are the same. This kit includes a customized playground maintenance schedule and manual specifically put together for your play structure. The kit also includes touch-up paint to match your colors, graffiti remover, and comes in a handy hard-sided case for long-lasting durability. Copyright 2019 by Creative Sites, LLC and BCI Burke Company. All rights reserved. Website designed by Foremost Media®.